Once you have gotten too any thrifted items and want to know what to do with them. Give them to a organization( such as Salvation Army, Tags of Hope, Macon Rescue Mission, ABBA House, Hospice Care Thrift and so on. Just find an organization that helps people who need it most and donate your items to them. The donation helps increase their inventory, they can sell the items to generate proceeds to benefit the causes they serve. You could gather up your items and have a yard sale. *Instagram is the new thing, the new Spreesy app. let's you sell on Instagram. 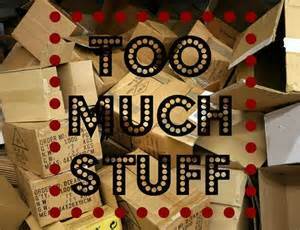 What do you do with excess thrift find or items that you have decided you don't need anymore?